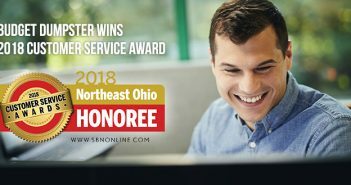 Budget Dumpster, one of the fastest growing waste removal companies in the country, has been recognized by the Content Marketing Awards as a finalist in the category of “Best Multi-Author Blog” for the second year in a row. This year’s Content Marketing Awards panel reviewed more than 1,100 entries to choose the best in content marketing excellence. Fellow finalists for best multi-author blog include Harte Hanks, Nurse.com, SAS Blogs and 2018 winner Constant Contact. Content Marketing World 2018 was held September 4-7, 2018, in Cleveland, Ohio. This year’s event drew 4,000 attendees from more than 70 countries. Established in 2009, Budget Dumpster delivers affordable waste removal services in most major markets throughout the United States. Working with over 250 local partners, Budget Dumpster sells thousands of temporary roll off dumpsters each week for projects big and small. 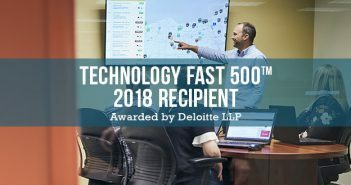 Based in suburban Cleveland with a growing team of over 100 employees, Budget Dumpster has been recognized as one of America’s fastest growing companies by the Inc. 5000; a top technology company by the Deloitte Technology Fast 500; one of the top five fastest growing companies in Northeast Ohio by Crain’s Cleveland; one of the largest waste and recycling firms in North America by Waste360 and one of the nation’s Most Flexible Workplaces by Fortune. 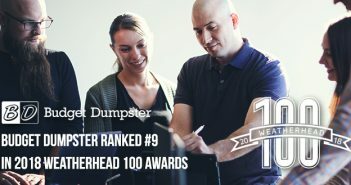 Learn more about how we help people and companies each day at https://www.budgetdumpster.com/.